At BIGFIN DIVERS we dive up to 3 times daily and boat trips to our dive sites take a between 5 to 45 minutes only. Dive sites can be arranged upon request with prior notice. 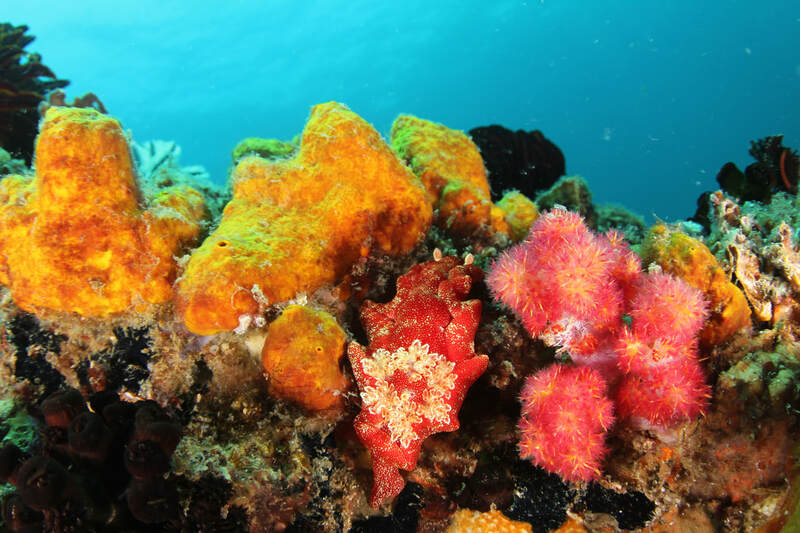 Please contact us minimum 2 days in advance to arrange dive trips and ensure availability. We are open all year round for diving, weather dependant. 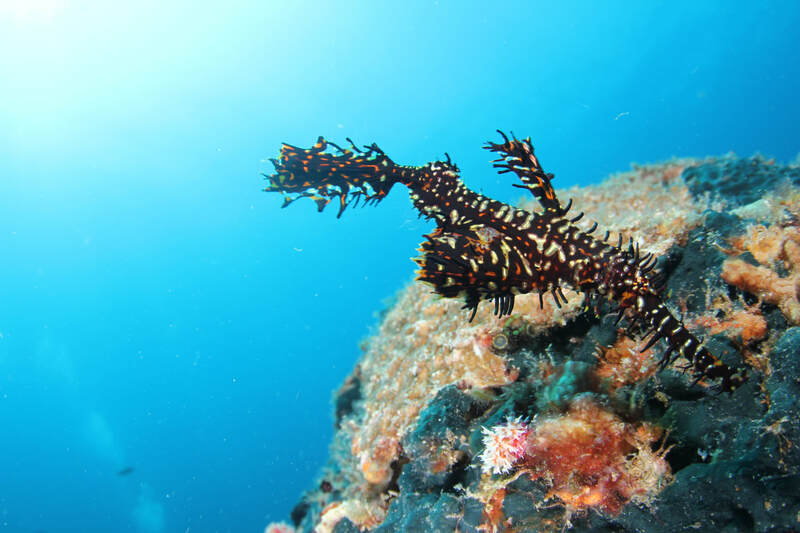 Our best dive season is from FEBURARY – JULY (our very best months are April - June). In the months of November - January (monsoon season) and August-October (pacific typhoon season) we remain open although occasionally trips may be cancelled due to rough weather at sea. Our Dive Centre is only accessible by boat; situated on a remote beach in Mengkabar bay opposite Pulau Pandan. 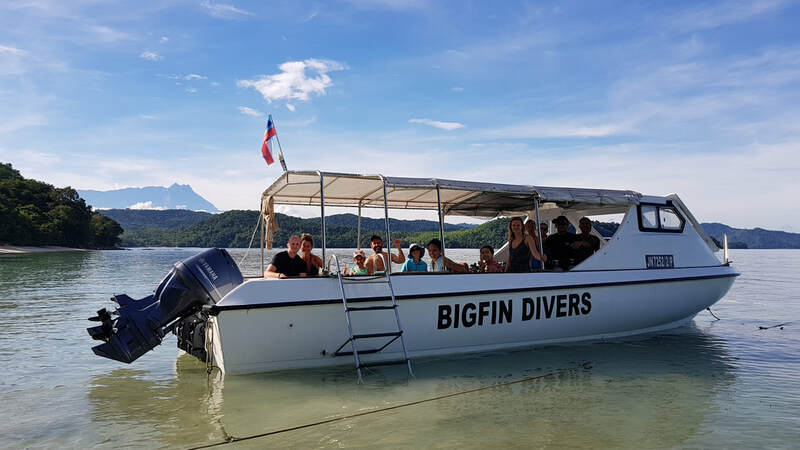 For outside guests or day trip divers from Kota Kinabalu or Kota Belud we offer boat pick up service from Dragon Pearl Beach Resort (accessible by road). We can arrange transfer by taxi for you from Kota Kinabalu or Kota Belud. Please note; dive sites are determined on the day dependant on weather conditions, current and divers ability. If you would like to request a particular dive site please mention when booking and we will let you know if it is possible and try our best to arrange for you.